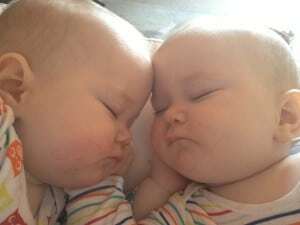 Learning you are pregnant with twins, triplets or more changes your expectations and plans. But your decision to breastfeed doesn’t have to change. Mother’s milk is especially important for multiples, who are often small at birth and need all the health benefits it provides. Breastfeeding also helps you create a special bond with each of your babies. Many mothers have nursed their multiples; you can enjoy nurturing your babies this way, too. Attend La Leche League meetings in early pregnancy to learn about breastfeeding and meet breastfeeding mothers. Do read The Womanly Art of Breastfeeding, Mothering Multiples by Karen Gromada and our page on Birth and Breastfeeding. A healthy diet with plenty of protein, complex carbohydrates and good fats will get you all off to a good start. Gaining healthy amounts of weight during pregnancy is good for your babies’ birth weights and may also help prevent premature birth. Even with good care, you might experience complications during pregnancy so it helps to be prepared. Ask your midwife for information on warning signs for premature labour. Seek medical attention quickly if any occur, or you have any of these symptoms: a severe headache or stomach ache, see spots in front of your eyes, or feel extremely irritable or tense. Limit visitors while in hospital and in the early days to those you feel comfortable breastfeeding in front of. When nursing two babies at once, you may feel exposed, at least until you can manage both babies and keeping your breasts covered. Tell friends and family you need time to recover and suggest they visit later, or drop round a meal! Any separation after birth may make breastfeeding harder, but it’s still possible. Hold, or at least touch, your babies immediately after the birth or as soon as you can. You can still touch and stroke a baby in special care and may be able to hold him against you in ‘kangaroo mother care’. If he can’t breastfeed, express your milk for him. This is the most important thing you can do whilst you are waiting to start breastfeeding. When you are back together, spend as much time as possible snuggling together skin-to-skin or lightly dressed to establish breastfeeding. If you need to express your milk because one or both babies can’t nurse, hand expression is useful in the first few days. Plan to express from both breasts at least eight times in 24 hours, about every two to three hours during the day and at least once during the night. As your milk increases, you can switch to a hospital grade automatic electric pump. Once breastfeeding is established, most mothers of multiples find nursing two at once is easiest and it saves time to co-ordinate feeds. Biological Nurturing™ positions can leave your hands free. Breastfeeding at night lying down gives you more rest. It gets easier as your babies grow. In the meantime, use enough pillows to recline in bed and feed two babies at once. Keep a drink and snack handy plus books or music to pass the time. The more milk your babies take, the more your breasts will make. This is especially important in the first few weeks. 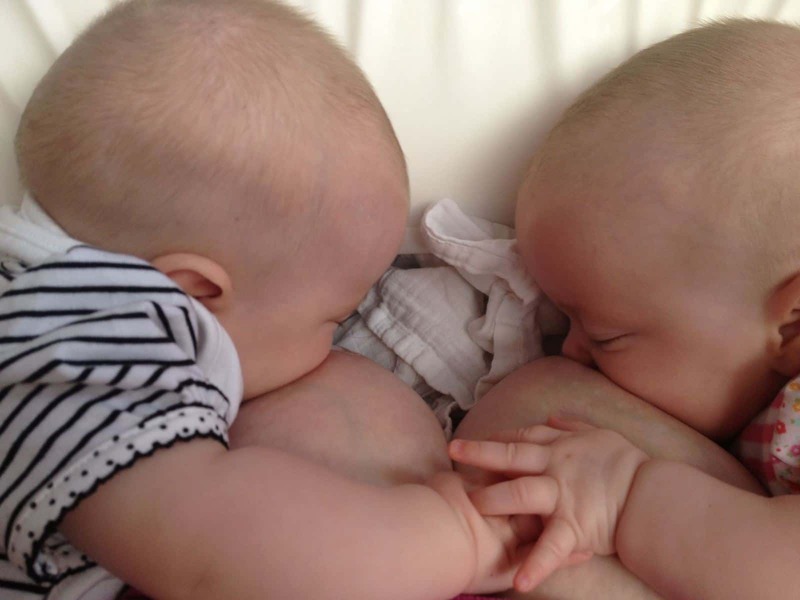 Since mothers of multiples usually experience more breast development during pregnancy, mothers of twins can almost always produce enough milk for both babies, and triplets can also be totally breastfed. Encourage each baby to feed at least 8–10 times in 24 hours. If one of your babies is too sleepy or groggy to rouse himself every few hours, you will need to wake him to feed to ensure he gets enough milk. See our page Sleepy Baby—why and what to do. At first you may feel you are doing nothing but feeding, but things will settle down as your babies grow and your milk production adjusts. Practical help with everything else will allow you to sit or lie down and concentrate on the important job of establishing breastfeeding. You’ll be busy looking after your babies but don’t forget to look after yourself too. Try to eat a balanced diet and drink enough. Get as much rest as possible, and sleep whenever your babies sleep. Looking after your babies will be a full-time job for quite a while so expect to do only the absolute minimum of housework. Others will offer help with housework or entertaining older children—do accept and make an effort to ask for help when you need it! Have a list of simple tasks ready to make it easier when people do offer help and you could share information from our page Supporting a Breastfeeding Mother. Your partner or support person will have a crucial role both practically and emotionally. Because they are needed so much, non-gestational parents of multiples have the opportunity to quickly develop close relationships with their babies. Other family members may also enjoy the chance to be practically involved. Take moments to appreciate this special time and be proud that you can nourish and nurture two or more little human beings at once! Midwives, health visitors, clinics and surgeries. Homestart – a charity which offers support and friendship to families who are struggling to cope for a variety of reasons. Local college students studying child development or members of local community groups. 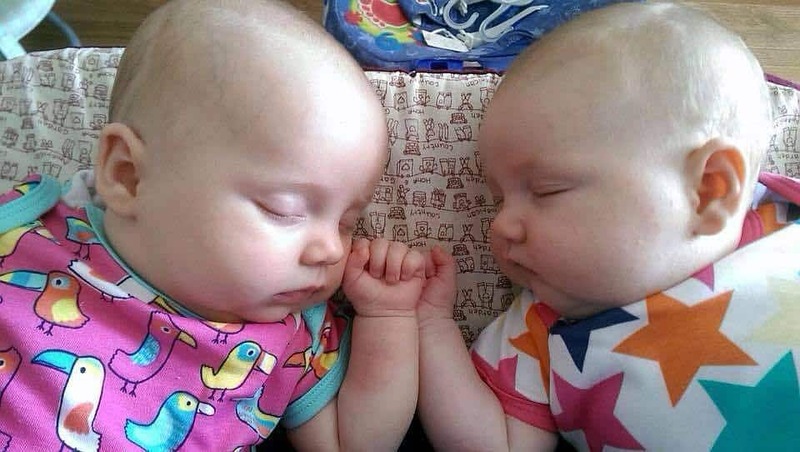 Mothers of twins or more often have mixed emotions about their “multiple blessings”. 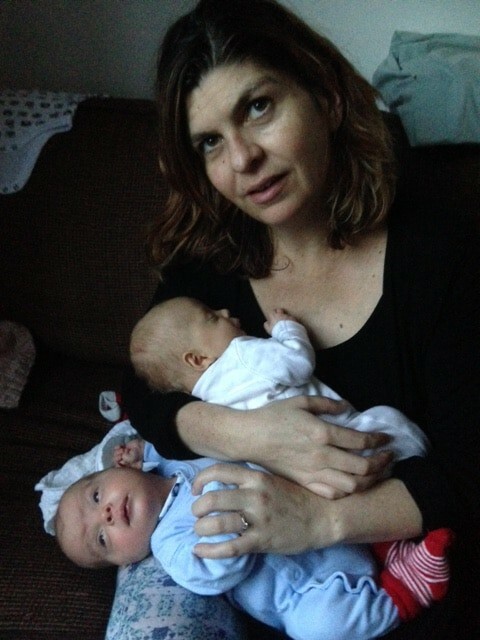 It’s normal to feel overwhelmed by the prospect of caring for two or more babies at once. It can really help to talk to another mother in the same situation. Your local LLL Leader can put you in touch with other mothers who have breastfed multiples, some LLL groups have Facebook support groups specifically for mothers of multiples. There may also be a local twins support group near you (see Further Information section). Adjusting to Motherhood has practical tips on dealing with feelings too. It’s daunting leaving the house with more than one baby. Start by going out briefly with someone else to help. Keep a changing bag packed and ready. A backpack leaves your hands free. Keep valuables and keys safe to hand in a waist pack or small bag across your chest. Consider using a sling or carrier for one baby even when out with a pushchair. A double pushchair can be useful for carrying shopping too. Alternate which baby gets carried: it’s easy to overlook a quieter baby’s need for closeness if one fusses more when out and about. Think about suitable places for feeding ahead of time. Look out for your babies’ early feeding cues so you can offer a feed before they start to fuss and attract attention from others. Get to know your babies: with time, you will come to know your babies as individuals. Take opportunities to give them a little undivided attention: feeding, nappy changes etc. A few minutes here and there all add up. Their personalities will soon show through. It’s OK to ask for help—it can take a while for breastfeeding to become easy, or for your babies to learn to breastfeed effectively. It will get easier as time goes on. You can get skilled help from an LLL Leader by calling our Helpline. Seek support and encouragement from the mothers in your local LLL group. Written by Sue Upstone and mothers of LLLGB, photos courtesy of Sarah W.
Information on nursing multiples by the author of Mothering Multiples. Website and blog of Krista Gray, IBCLC and mother of twins. Hold your Prem. Jill Bergman and Dr Nils Bergman. Cape Town: New Voices Publishing, 2010. Mothering Multiples. Karen Kerkhoff Gromada. Schaumburg, IL: LLLI, 2007. Breastfeeding Your Premature Baby. Gwen Gotsch. LLLI, 2002. TAMBA provides information and support networks for families of twins or more. Tel: 0800 138 0509 (10 am–1 pm and 7pm–10pm, daily).